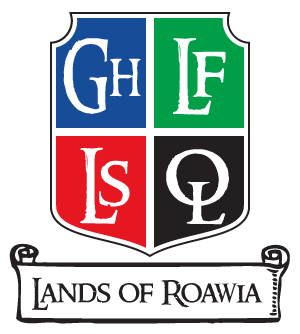 Welcome to the Lands of Roawia Role-play Adventure! Please feel free to browse the information below. Questions should be asked in the Frequently Asked Questions (FAQ) thread, which will be updated periodically as new questions come up. Thanks for checking us out, and be sure to sign up once you've picked a faction and are ready to begin your own adventure! 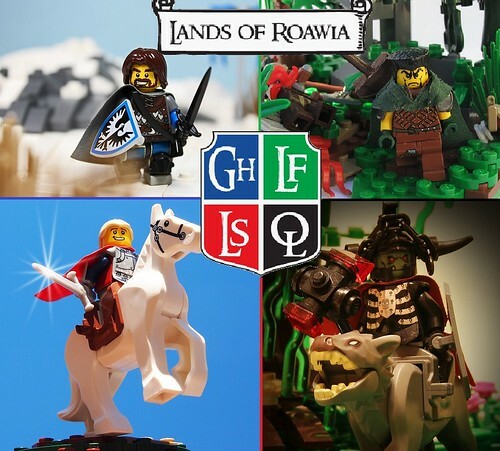 Lands of Roawia is a MOC-based fantasy world called Roawia which is populated by the members of the Merlin's Beard forums. 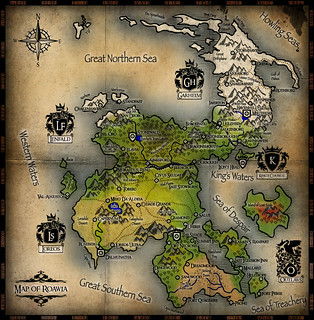 The world is broken up into four factions: Garheim in the arctic north, Lenfald in the forests of the northwest, Loreos in the central desert and grasslands, and the Outlaws who are scattered throughout the land, but are more concentrated in the southern mountains and swamps. Due to the recent discovery of the Great Western Isles, there is little settlement there. However, cartographers of Lenfald have mapped the entire archipelago. Creations in this faction should have an "old Nordic" feel to them. Stone is plentiful, but wood is scarce and valuable. Due to their difficult terrain, this faction values speed and maneuverability and has a strong focus on light infantry. Between Garheim and Loreos lies the Free Nation of Lenfald, with its rich grasslands and deep forests. Valuing grace, style, and freedom, the Lenfels prefer to live, hunt and fight with elegance - often using a longbow for all three. After having discovered the great Western Isles on a sea voyage gone wrong, the Lenfels have enjoyed an economic boom. The new isles are tropical in nature. - Navy: Large war- and trading ships. - Economy: Theft, magic. Coin is.... anything they can steal from the other factions. - Army: Foot soldiers, magic. 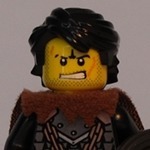 - LEGO sigils: Wolfpack, Fright Knights, Skeletons, Trolls. Not all your figures have to carry an official sigil either; you can create custom sigils or leave your men without a sigil all together. The important thing here is to color-coordinate: Mix and match parts to fit the colors of your faction. 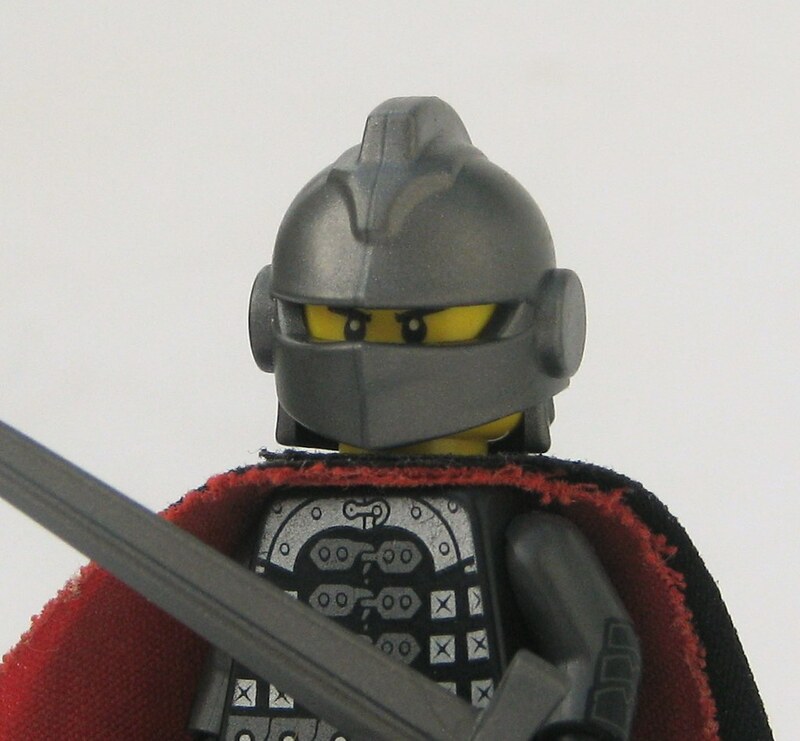 "Protected" official LEGO factions are: Black Falcons (Garheim), Crown Knights (Garheim), Forestmen (Lenfald), Kingdoms Dragons (Lenfald), Crusaders (Loreos), Kingdoms Lions (Loreos), Wolfpack (Outlaws), Skeletons (Outlaws), Fright Knights (Outlaws), Royal Knights (King's Council). Any faction not listed as "protected" in this list is open to be used for any faction, but try to use good judgement. For example, certain factions will look great as a Lenfald group, but might be unusual as a Garheim faction if there is no blue in the heraldry. The Guild Master is in charge of guilds, keeping track of entries, ranks and titles. He also may issue guild-exclusive building challenges. The Brawl Master oversees the Rival Challenge one-on-one brawl forum, keeping track of brawl results and ranks. The "King's Council" is comprised of the four Faction Overseers and their Faction Liasons (see "Administrative Roles" section below). Together, the King's Council comes up with contests, challenges, and major storyline developments for players to participate in, if the players would like to do so. The King's Council also will regularly seek input from the members to make sure that everyone is enjoying the storyline. They will gladly accept ideas or input on improving the game, so feel free to contact them with any suggestions you may have. There are two scoring systems in LoR: Global and personal. Faction Overseers will communicate on a regular basis to come up with a global building challenge approximately once every other month. These contests normally should progress the storyline of the LoR in some way, but are not required to do so. Each member of a faction will be allowed to participate in a "GC", according to the specific rules of the challenge at hand. Participating will score global points for his/her province and personal points for him-/herself, assuming any/all qualifying criteria are met. Depending on the challenge, the top entry(ies) from each region will be selected by a popular vote as decided by all members of the home region for submission into the final round of judging. Once selected, the finalists from all factions will be presented for a community vote. Anyone can vote, even those who are not active in LoR. The overall winner will score bonus points for him-/herself and for his/her faction. Up to two times per month, the Faction Overseer can arrange a Local Challenge (LC) for his faction. Local challenges will generally not progress the overall storyline of the game, but may be tied to the global story in some way, at the discretion of the Faction Overseer. Keeping track of scoring is ultimately the responsibility of the Overseers, but they can enlist someone to help them keep track of it if they wish. With the permission of the FO, the responsibility of hosting and judging a local challenge may be turned over to a member. The host of a local challenge may build an entry, but is typically not eligible to win. Hosting a Local Challenge earns the host +1 personal point, as a reward for their efforts. All members are allowed up to two free builds per month for points. Each free build is worth +2 points, and free builds may not count for any other GC, LC, or Guild Build. You may build as many free builds per month as you want, but only your first two will count for points. Character Intro Challenge is worth 5 points - This should be completed at the time of sign-up. Global Challenge Scoring varies by challenge. See challenge thread for details. Local Challenge Scoring varies by challenge. See challenge thread for details. The number of local challenges between factions should be relatively consistent, to avoid any one faction's members having an unfair advantage in accumulating points. Free Builds are worth 2 points each, maximum of 4 points per month. Guild Builds are worth 1 point each for Apprentice entries, 3 points each for Journeyman entries, and 5 points each for Master entries. - Special limitations apply to Guild builds, see the Guild Hall thread. When you are ready to join LoR and have (after giving it a lot of thought) figured out which faction you want to join as well as who your character is going to be, the first thing you should do is create an entry for the Character Introduction Challenge. 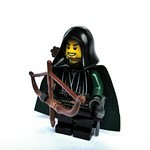 This is where you introduce your character with a MOC and a description of who he/she is. You are not officially a part of LoR (and not eligible for points in other contests and challenges) until you have completed the CIC. This challenge is ever-going - it does not have a deadline - and completing it will earn you 5 personal points. Thanks to Mitah for his banners! They're awesome! Would it be prudent to update these banners to Mitahs more updated version? There are two banner links in the post one was to Mitah's and one was to the old version. I updated the second one. I just wanted to remind everyone about the prize drawing I offered at the beginning of the year! To reward our active members for their contributions to the LoR, anyone who earns 50 or more points between Jan 1st and Dec 31st will be entered to win a large castle or Hobbit-themed set, as sponsored by the members of the King's Council. There will be consolation prizes as well, in the form of polybags and/or CMF's, so start earning those points and keep track of them for verification at the end of the year. Between free builds, guild builds, local and global challenges, you should have no problem getting to 50 points if you put your mind to it! So start earning those points to get to 50 before the end of the year! I initially offered a copy of Barrel Escape, but I forgot that I was saving a copy to give away and parted it out a few months ago , so I will pick up another comparable set to be used as the prize. 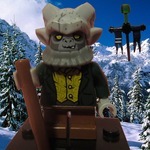 Maybe the new Laketown Battle set! The banner links don't work any more. Just post a small scene with your character in your faction's thread along with a short story describing his/her background. You should post it to the sign-up thread as well. -&nbsp;The Second Allegiance is to revere Death, not Undeath. The Undead try to cheat the natural cycle of life, and the Death Knight must use every available means to stop them and restore natural order. - The Third Allegiance is to Honor for all of Eternity. The third allegiance demands that a Death Knight be honorable. In this, his word is his bond, once sworn he shall uphold it so long as his trust is not broken, even against his convenience. Yes he remembers very clearly, it is as if his memory is much better then it was before. Thats sad, I'm going to miss Ayrlego's character. 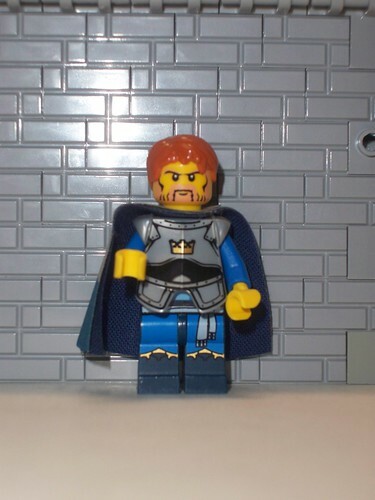 Perhaps he could go "missing" until Loreos gets replenished with new people and Ayrlego decides to come back to his rightful faction!